Normally they are only there to protect the shins of footballers, however some of them should rather be considered as pieces of art. 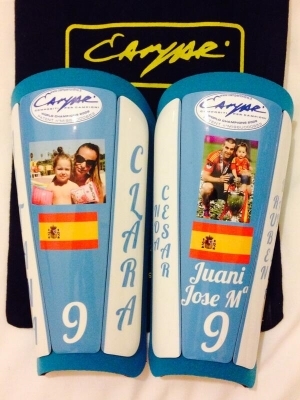 The exclusive shin guards of former Ferrari employee Enrico Campari are in high demand. 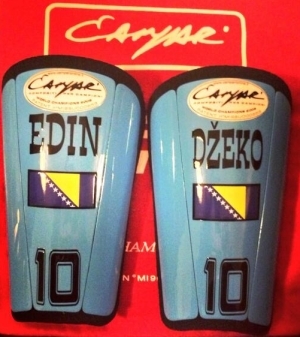 Each one of the 4,000 shin guards produced per year is unique as it is custom-made to fit the player’s legs. Along with carbon and kevlar, Campari works with zylon, an extremely light – and expensive – synthetic fiber used in Formula One to protect the race cars’ petrol tanks. 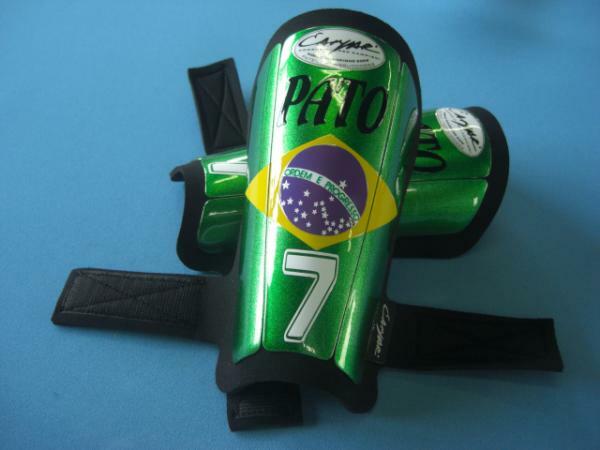 “My products aim to be the Ferraris of shin pads,” Enrico Campari told the German Press Agency dpa. 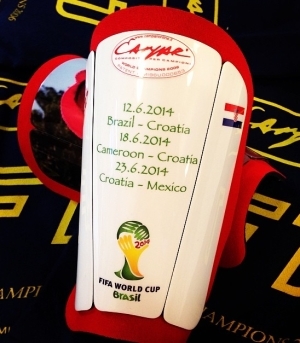 Not surprisingly, a great number of players of the Italian team rely during the World Cup 2014 on the customized shin guards from their home country. For example, Gianluigi Buffon’s guards feature Superman, Giorgio Chiellini is protected by King Kong and Andrea Pirlo is portrayed by an architect. 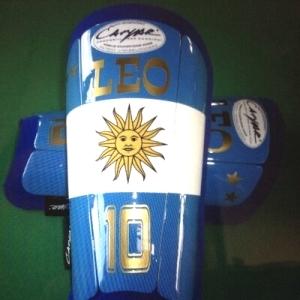 All the above designs were created by the cartoonist Valerio Marini and will be auctioned after the World Cup for a good cause.